Visit a country or region with a dialect you are unfamiliar with. 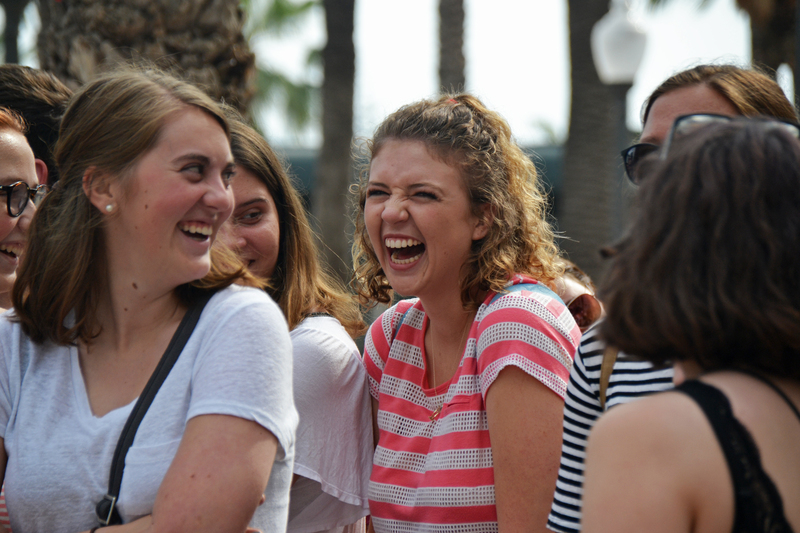 While you may learn English or Spanish here in Spain, there are many dialects of each language, each with their own idioms and regionalisms that inform the ways their cultures work. If you learned primarily British English, interaction with people who speak Canadian, South African, Indian, Caribbean, or American English can help you diversify your understanding of the language. If your background is in Spanish from Spain, taking a trip to Latin America or speaking with people from there is a good way of experiencing dialects that vary from country to country. Between two adjacent countries, like Costa Rica and Nicaragua, pronunciation and slang differences can be stark. Apply for an internship with a company that works internationally. Multilingual students are coveted at jobs and internships around the world. Capitalize on the American market, which is disdainfully monolingual, and make connections in multiple markets and countries that might benefit you later on in your career. If you choose to work at a museum or in the classroom, multilingualism is a huge tool in helping children and adults alike get involved. Listen to popular music in that language and use tools to discern its meanings. One of the benefits of genre music is that it often taps into similar themes, crossing language barriers. Pop music taps into notions of love and attention, while punk rock expresses angst that people all around the world feel. Because they border on cliché, they can be simple ways to tap into the zeitgeist of various linguistic cultures without using overly complicated language, making this kind of immersion a good practice for anyone learning a new tongue. If you identify as religious, listening to popular worship music in your target language can serve as a comfortable learning tool. Pay attention to the news in different languages for time efficiency. Watch a television series on a streaming service without subtitles. Another way to unwind is by binge-watching a sitcom or drama. If you’re planning to start or re-watch a series, try watching a season dubbed in your target language! A big motivation to stay committed to immersing yourself in the language is drama and suspense, not to mention the emotional connection you have with the characters of your preferred show.